A lightweight, tube mounted smartphone holder. 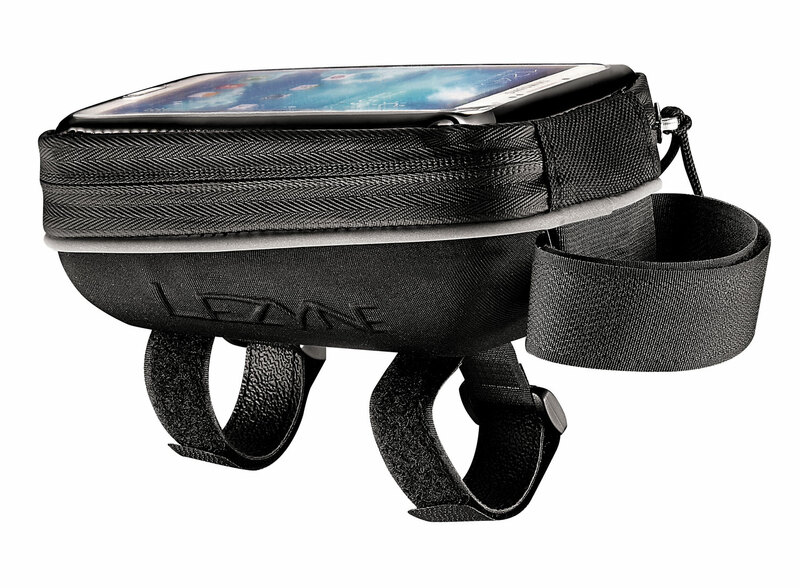 Lightweight, semi-rigid top tube mounted smartphone holder. Molded EVA foam structure with durable woven nylon cover. Compact design with extra wide clamshell opening. Mesh divider helps keep items in place. Smartphone pocket holds popular 4-5 inch models. Clear, touchscreen compatible cover. Secure, three Velcro strap design attaches to top tube.